Three instructors of Portland State University’s School of Community Health, in collaboration with the school’s subject librarian, deployed digital badges to certify information literacy and critical thinking outcomes in their classes for one term. The badge curriculum, which was developed by mapping library learning outcomes to course learning outcomes, was designed to teach and assess students’ understanding of and skills acquisition in website evaluation, information formats, database searching, citing and plagiarism, and contributing knowledge to the information landscape. Badges were issued using Credly, and before and after the term, students were asked to provide feedback about their learning experience. This article presents a summary of the project, and features a conversation between teaching faculty and the faculty librarian in which they discuss the project's positive outcomes, challenges, and the theory behind badging. Ford, E., Izumi, B., Lottes, J., and Richardson, D. (2018). Hot Neoliberal Commodities or Tools for Empowerment? A badges case study and conversation. 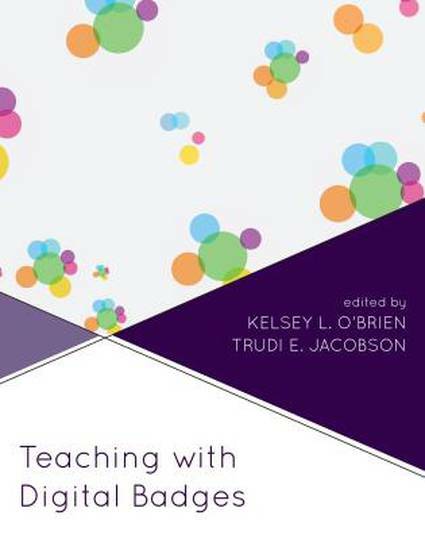 In O’Brien, K. and Jacobson, T. Teaching with Digital Badges: Best Practices for Libraries. Rowman & Littlefield.